Last week, our growing team took on a new challenge: graffiti-style graphic recording! The National Association of Realtors asked us to do this as part of their yearly leadership convening. They had seen graffiti art, and they had seen graphic recording. They wanted a certain blend of both styles to engage their team during their meeting, and to share after. We were excited to see summit attendees engaging with finished art throughout the conference. NAR Leadership Summit attendees shared lots of photos in front of the work on Facebook. We turn every graphic recording project into shareable digital files for our clients. 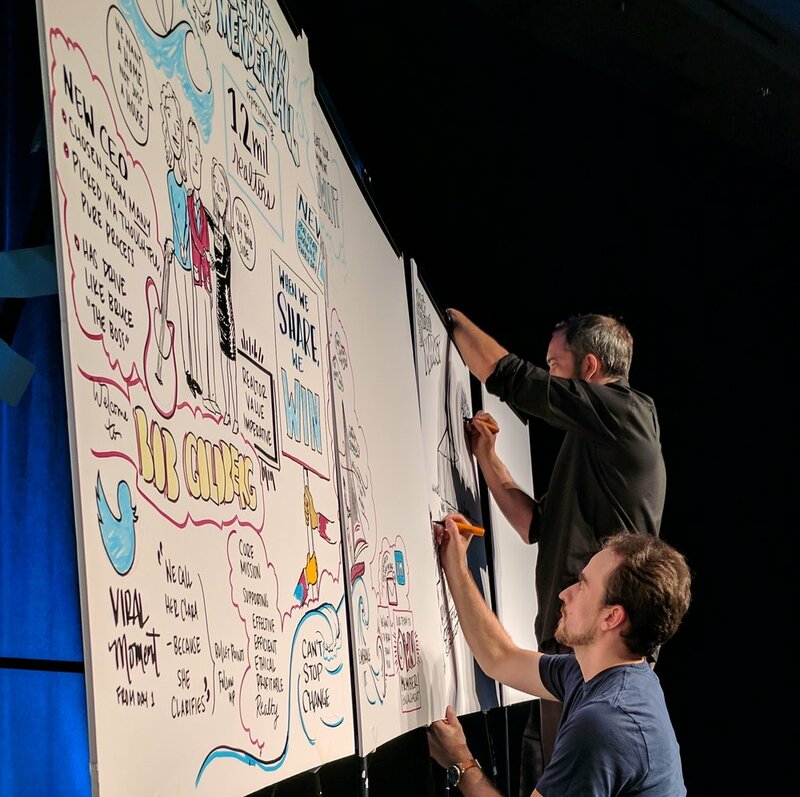 What's fun about graphic recording is that while the GR community has certainly established some on-point best practices, there is a lot of room for building creatively on top of them. One of our team members, Robert, has a background making graffiti art, so we jumped at the chance to blend the style with our graphic recording know-how. We made a point of having two artists drawing at all times, with an additional floater from time to time to keep things flowing. One artist acted as "listener", capturing key content points and noting which ones should be blown up larger; this allowed our designated "graffiti artist" to spend more time on the art aspect. Both of of our artists drew as well, building on each other's work. Sort of like art-jamming. Each member of the Urban Wild Studio team has a varied artistic background, with many years' experience as creatives and listeners. We love to take on new challenges and let things get interesting with our client partners. 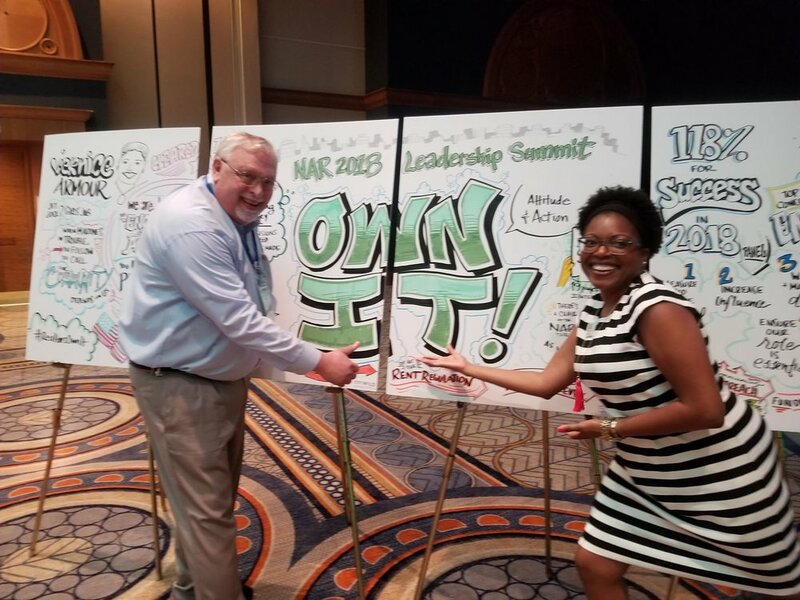 One of our favorite parts was seeing the leadership conference attendees engage with the art. We know we have hit on something good when we see attendees' photos pop up on social media! Want graphic recording at your event, meeting, or speaker series?